Cork is super hot fashion trend and it's so easy to see why. 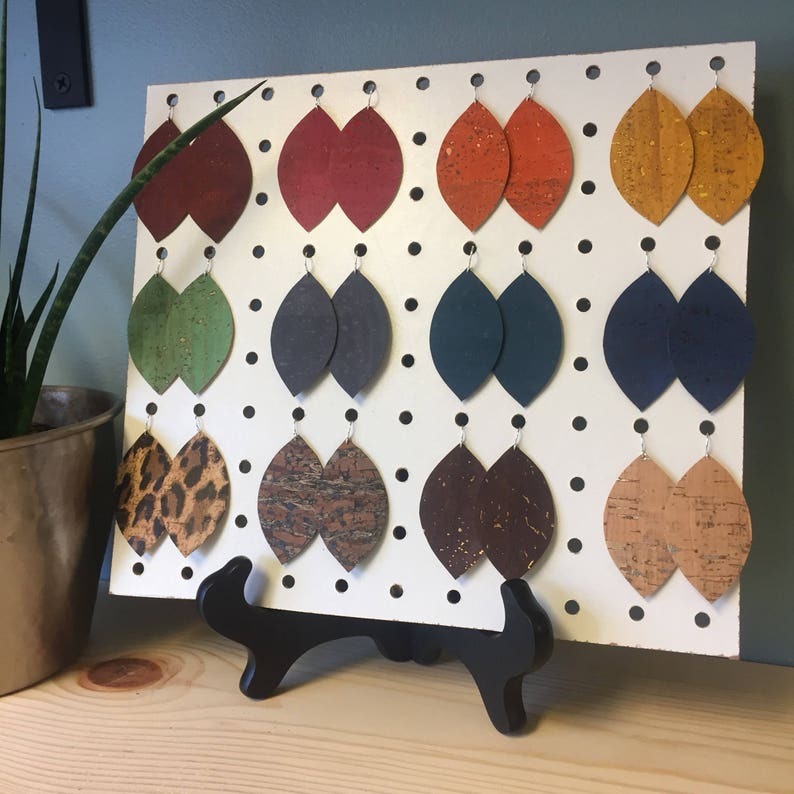 Cork is a vegan alternative to leather, comes in a variety of colors and supports eco-friendly, sustainable fashion trends so you can feel good about what you're wearing! It's also an easy way to make a statement without any weight at all! These are light as a feather, honestly, you can't even feel them on. These cork earrings are a leaf/petal shape that flatter all faces and dangle a smidge over 2.5 inch from the bend in the sterling silver earwires. Plastic backs are provided with each pair to be worn with the earrings to prevent loss...Don't be a rebel. Wear the backs. (**Inspired by the one and only Joanna Gaines from Fixer Upper). these cork earrings are my favorite! very well made, great quality products and sooo lightweight! my go to earrings, i have multiple colors! !